This is post is sponsored by Catherines. All thoughts and opinions are my own. I continue to be impressed with Catherines. 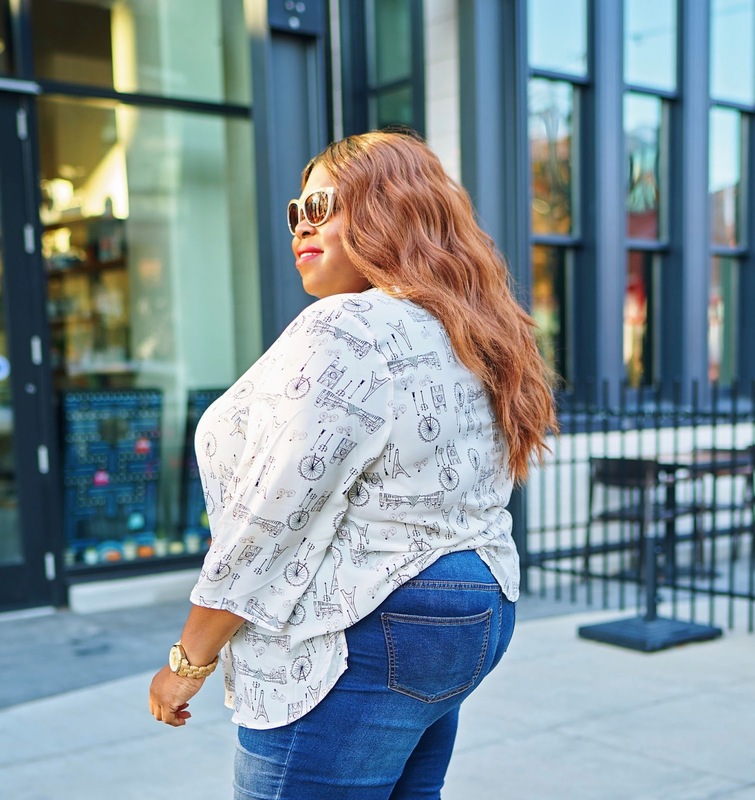 For years, I've overlooked the plus size brand...but not any longer. When it comes to prints, I just can't resist the urge to pattern mix. 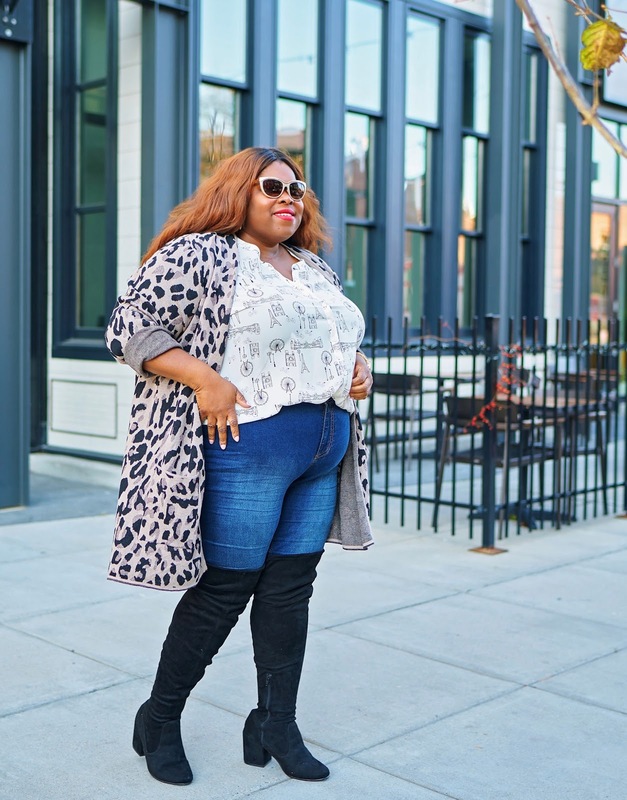 Usually, my go-to is stripes and polka dots or animal print and stripes. 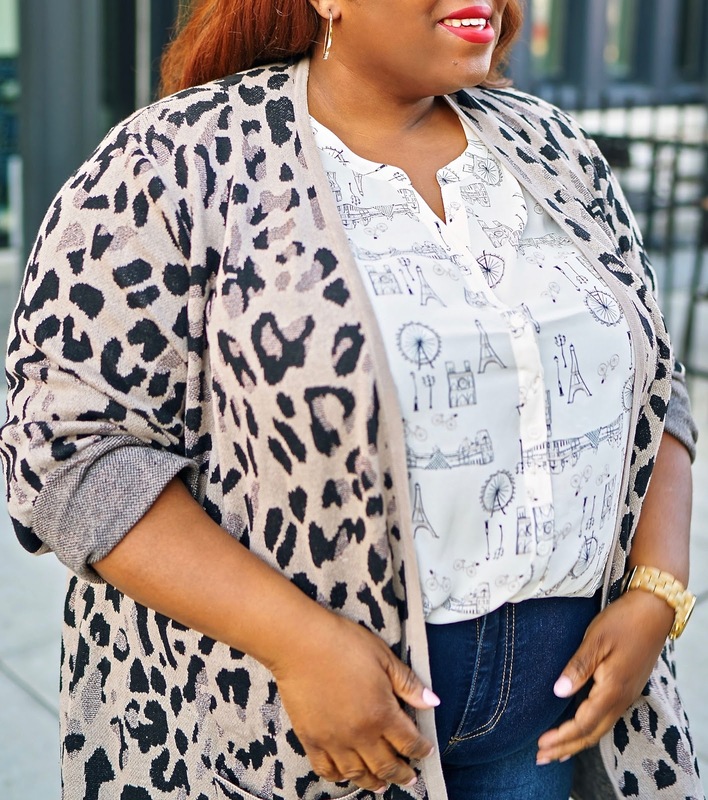 But for some reason when looking at the Leopard Print Cardigan, I knew it had to be paired with the Meadow Signature Crepe top. The cardigan is long sleeve but I rolled it up because I like scrunched sleeves. And if you peer closely, there's a hint of metallic for that subtle shine. Details that make me smile. 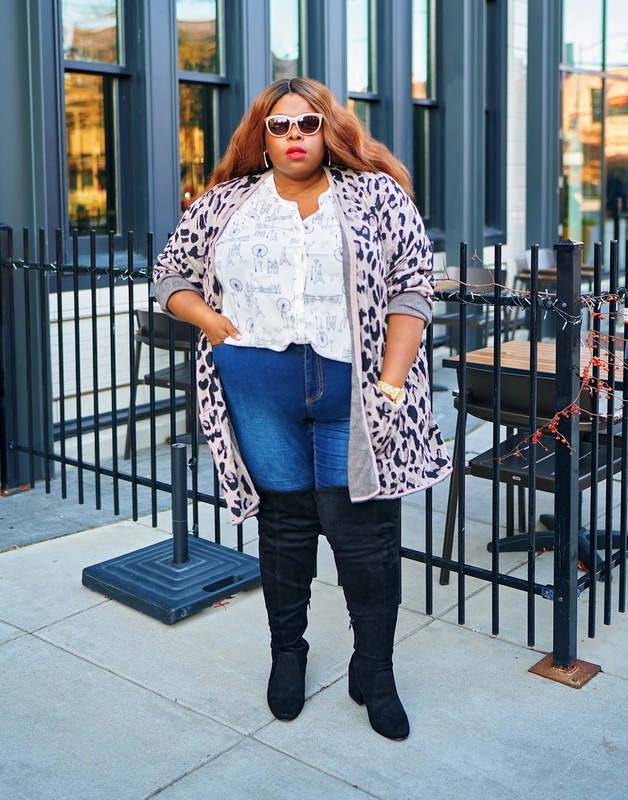 The leopard print is right on trend for the fall/winter 2018 season of animal prints. And the length works when it comes to layering. Oh, and there are pockets, too. What drew me to the top was the fun print, of course! A mishmash of ferris wheels, Eiffel Towers, bicycles, and so much more. It's also lightweight for an easy wear. This would be cute to wear on Thanksgiving Day, no? 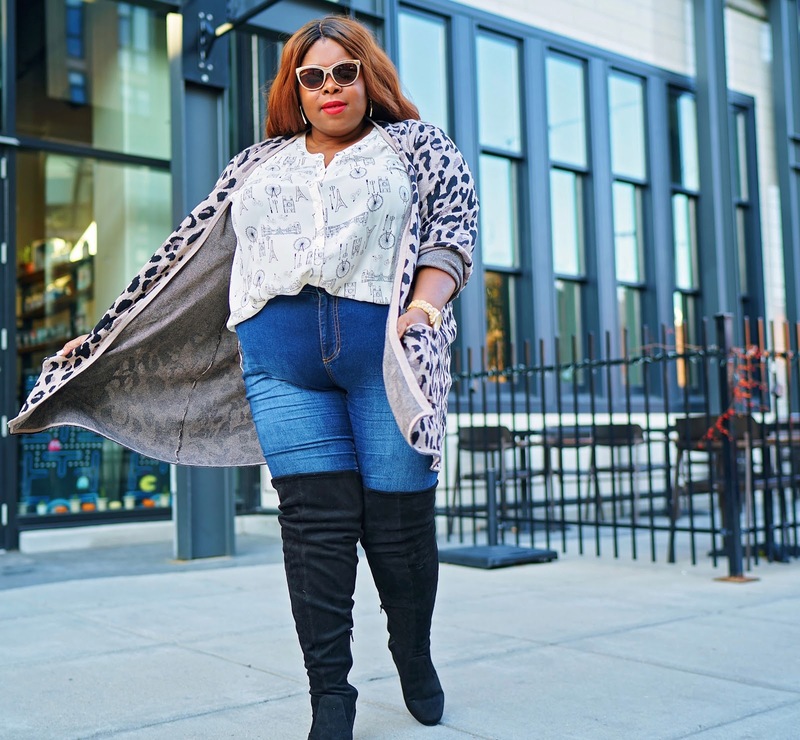 Here are other cute finds on the Catherines site: Gold Threaded Earrings (worn in the photos); Pointelle Cowl-Neck Tunic Sweater; Curvy Collection Gallery Wrap Dress; Good Soles Crisscross Booties.